How do I Repair Bowed Basement Walls? Homeowners with bowed basement walls should look for cracks in their foundation. Bowed basement walls are a serious issue, and in most cases, a professional should be hired to repair the damage. If you choose to perform some of the steps on your own, be sure to research different methods for repairing bowed basement walls before attempting any of them. The first step is, of course, to assess the extend of the damage to the wall. This will mean tearing down any drywall that may be covering the basement walls and looking for vertical and horizontal cracks in the foundation of the house. Once you have found any cracks in the bowed basement walls, you must determine if the walls are still moving and causing additional bowing. 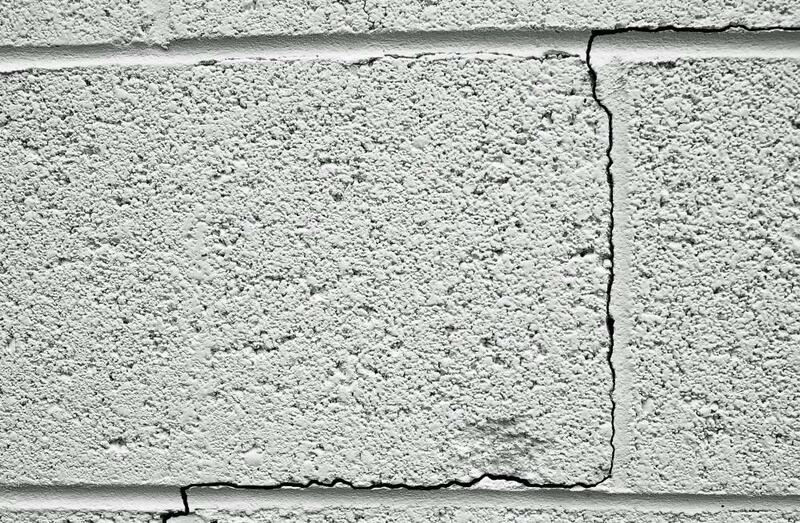 The best way to determine if the wall is still moving is to use hydraulic caulk in the cracks. This material is available at most hardware stores, and when it is worked into the cracks, it will dry. If the caulk cracks after installation, this means the wall is still moving. Structural supports will therefore need to be installed to keep the wall stable. It is also important to find the cause of the bowing; in some cases, poor drainage form the outside of the house can cause bowed basement walls, and excavation may be necessary to correct the issue. This must be done with heavy machinery, so it is best to leave this step to professionals if you are not familiar with the use of heavy machinery. Structural supports for bowed basement walls often come in the form of steel beams. 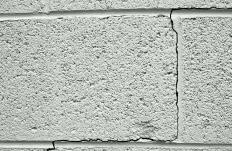 These are particularly helpful if the wall is bowed due to the house settling, which will cause horizontal cracks in the wall. These beams will help take some of the structural load the wall must bear off the bowed wall, preventing further bowing. If the wall is bowed inward toward the basement, wall anchors may be used to correct the bow. These can be somewhat difficult to install correctly and the process should be done by a professional if possible. The process involves securing large steel plates against the inside of the wall, then drilling through the wall so steel cables can be run through it. The cables will be secured to galvanized steel plates dug into the earth outside the basement wall. Once the fix you have chosen is complete, it is best not to refinish bowed basement walls until you are sure the method you chose is working properly. Wait several weeks to see if the damage worsens, or if new cracks begin to form. Once you are sure the fix has worked, you may refinish the basement. What are the Best Tips for Sealing Basement Walls? What are the Best Tips for Finishing Basement Walls? What are the Best Tips for Basement Foundation Repair? What are the Best Tips for Basement Refinishing? What are the Different Options for Interior Basement Waterproofing?